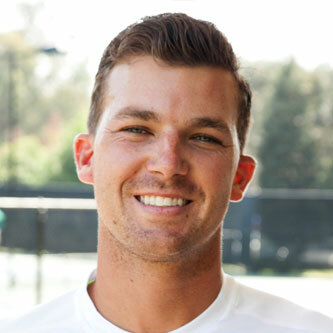 AJ is a young, outgoing, Californian who has been involved with the game of tennis ever since he first laid eyes on a tennis court as a young kid. AJ has played tennis at it’s highest levels, from junior and college tennis all the way to the pro tour including Futures, Challengers, and even some of the biggest ATP events on tour including the BNP Paribas Open. He’s traveled around the world to 13 difference countries and has been ranked as high as 1023 on the ATP Tour. AJ has practiced with some of the biggest players on tour including Roger Federer, Marat Safin, Robin Soderling, Ivan Jubicic, Kim Clijsters, Justine Henin, and Martina Hingis. Along with his teaching credentials, AJ brings an enthusiasm for sharing the game he loves with others. AJ loves being able to help players of all levels achieve their maximum potential. By blending fun, fitness, strategy, and a strong technical base, AJ looks forward to making your tennis experience more rewarding.